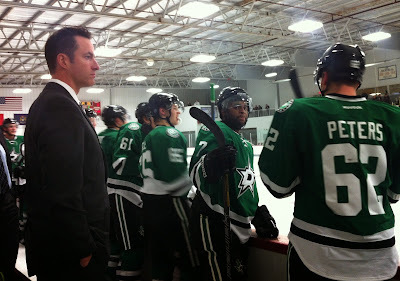 Among the gaggle of coaches and staff that have been working with the Texas Stars since Traverse City is the head coach of the Dallas Stars' ECHL affiliate, Brad Ralph. His Idaho Steelheads are back as the Dallas Stars AA affiliate for another year. For third-year head coach Ralph, it's a new setup in Texas with both coaches turning over, giving way to the Laxdal/Taylor era in Cedar Park. Any trepidation he might have had about the new regime was quickly relieved once the team began work on the Traverse City tournament. "Laxdal and Karl [Taylor] have been phenomenal," said Ralph after practice Wednesday. "They've involved me in everything from Traverse City to here. They both know what I go through in the ECHL having both coached there. I respect their willingness to bring me in and share with me their views and opinions. Hopefully we continue to grow that relationship." The Steelheads brought six ECHL contracted players to Texas' camp on tryouts to the AHL club. For most of those players, it was just first few days of quality ice that they've had this season. Ralph is trying not to make any hard or fast judgements about the players in the first few days, especially when compared to some of the Dallas players who have been skating since mid-September. Among the players in camp expected to head to Boise, there are two rookie goaltenders both on Dallas contracts. Maxime Lagace and Henrik Kiviaho will both start their first season in the Dallas system at the ECHL level. Starting the season with two unproven rookies was beginning to shape up as a big question mark and potential challenge for a squad that has never missed the playoffs in its seventeen year franchise history. That is, until Thursday when the Steelheads signed veteran tender Olivier Roy to an ECHL contract. Roy won the Kelly Cup last season with the Alaska Aces and was a thorn in the side of the Steelheads for the past three years. In 17 career games against Idaho, Roy posted a 10-5-2 record, including 6-0-1 in the postseason with a .936 save percentage in those seven contests. Each of the past two seasons, his team has eliminated Idaho en route to reaching the Kelly Cup finals. When asked about the rookie goaltending situation, Ralph had a knowing smile. "We're going to roll into training camp and see how [the rookies] do. We aren't making any promises, and we just have to put the best product on the ice. It's a combination of development and making sure that we win hockey games in Idaho. That's the expectation." It seems likely that Roy gets the majority of starts while Lagace and Kiviaho work their way into the lineup slowly. The summer was rampant with rumors of a merger or absorption of the CHL into the ECHL. The two leagues both stake a claim as the AA level of hockey in North America. 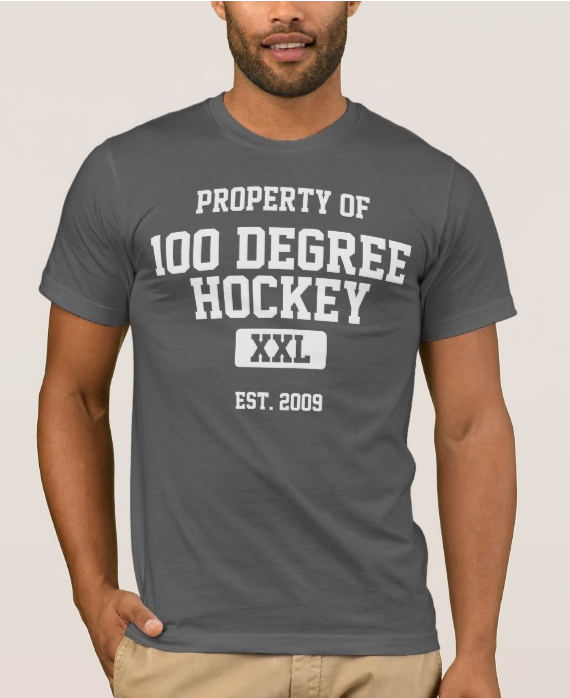 Given the affiliations and size, however, the ECHL has a definitive claim to that mantle. Further, the CHL has been losing teams steadily over the years and now looks to start their 2014-15 season with just seven teams. The ECHL, by comparison, has 21 teams and 28 of the 30 NHL clubs have an affiliate in the ECHL. If the merger or absorption comes to pass, Ralph is mostly concerned about the stability and strength of the franchises that would join. "I believe it would be a good thing if we can absorb the Central League teams as long as those are solid markets. You want stable franchises you can rely on for jobs, the fans, and the players. You want to build a strong league with great franchises." Before coaching in Idaho, Ralph came from the Southern Professional Hockey League's Augusta RiverHawks. The SPHL is at the single-A level of pro hockey in North America. With the shift to a combined and solidified double-A level league, Ralph sees a future that could include a more formally associated set of single-A leagues. "The SPHL is a great league and business model. There aren't as many teams, so affiliations would be difficult, but it would make the ECHL more competitive."